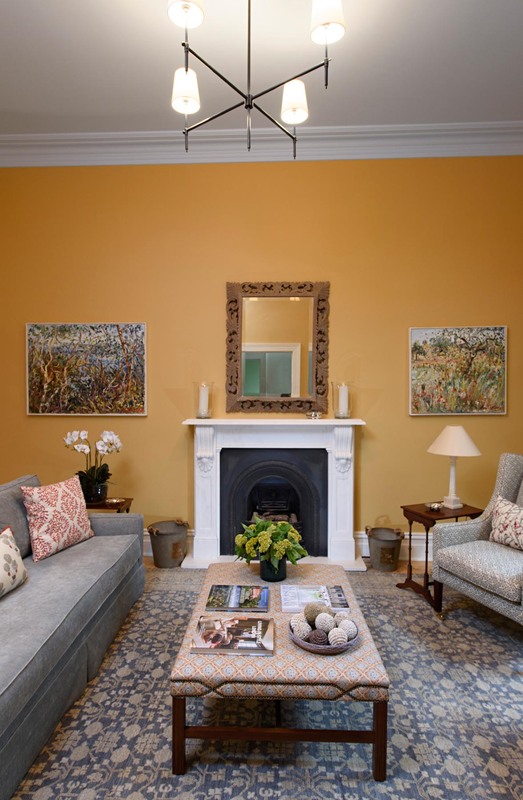 When I first met with this client I was so enthused by her artwork and the depth of colour in each piece that I immediately decided this needed to be the inspiration for the sitting room and study. 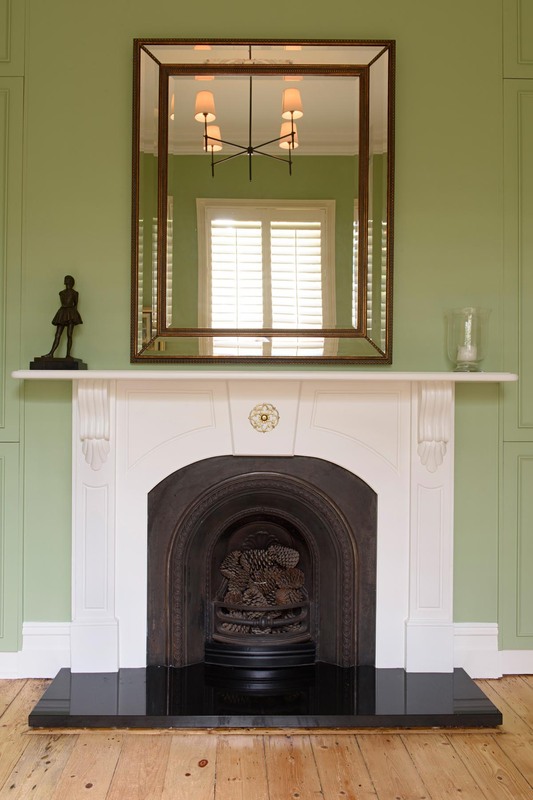 I wanted the rooms to match the depth of colour in order to complement the artwork without it being too matchy, matchy! What we have achieved is something very special. 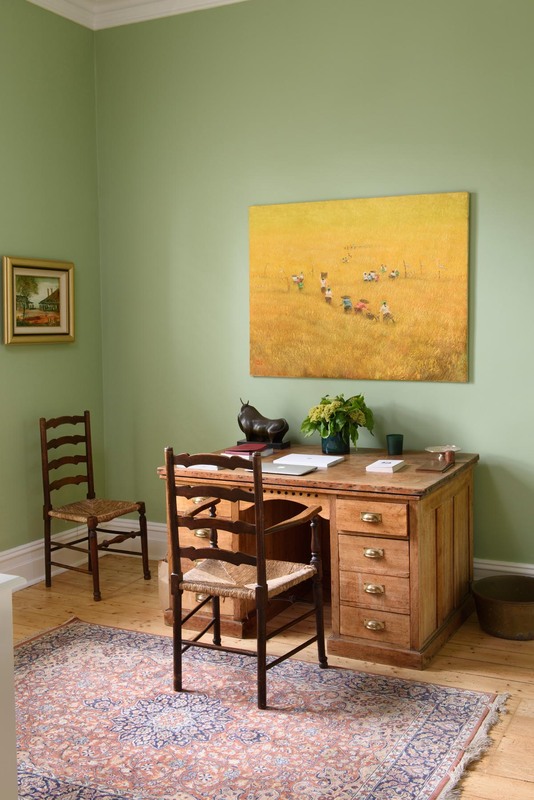 Painting the walls in an ochre and apple green enhanced the paintings and gave a comforting feel to the space. 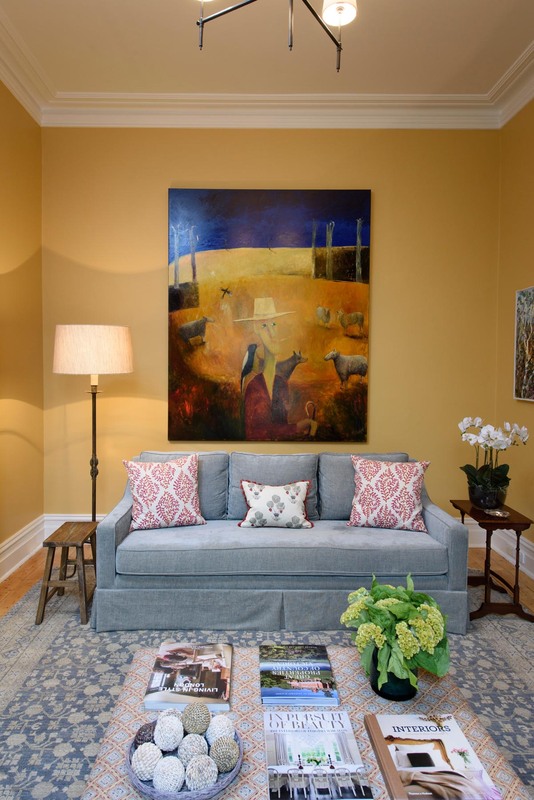 The introduction of new lighting updated the rooms while the Wills & Sons sofa, armchairs and ottoman covered in fabrics with strong designs gave interest to each piece of furniture and allowed them all to have their own sense of presence. It was the stunning Behruz rug which was the star, bringing everything together in harmony.